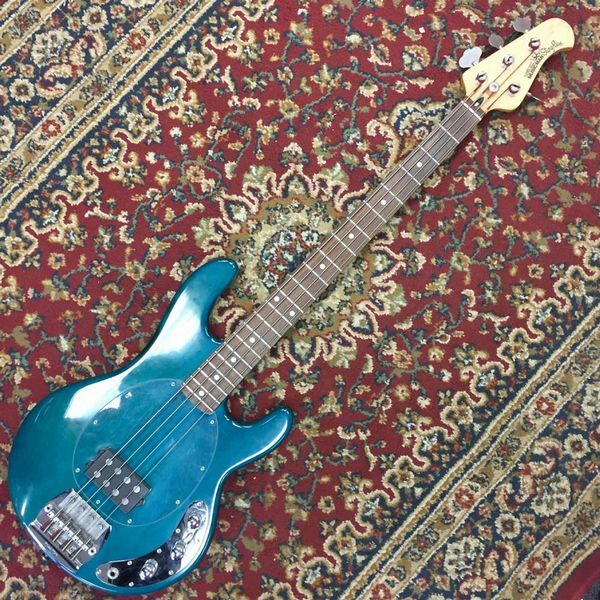 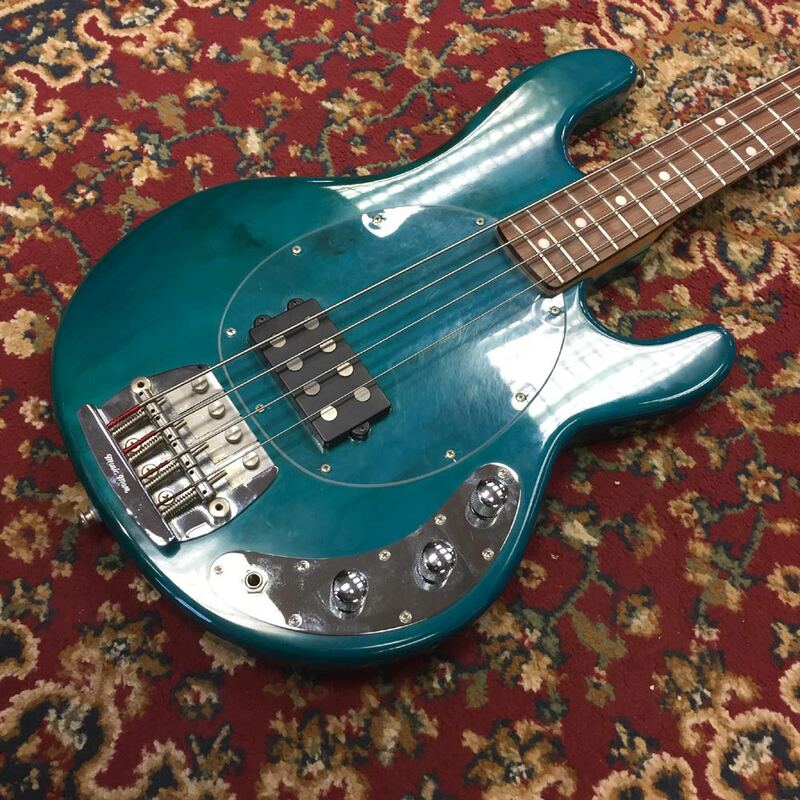 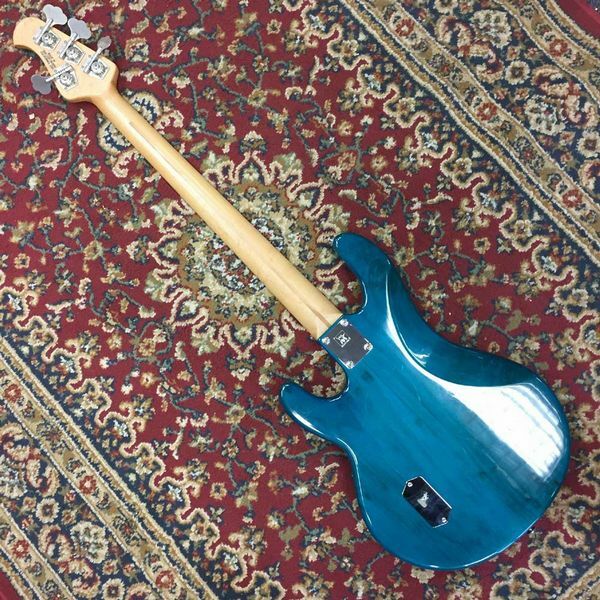 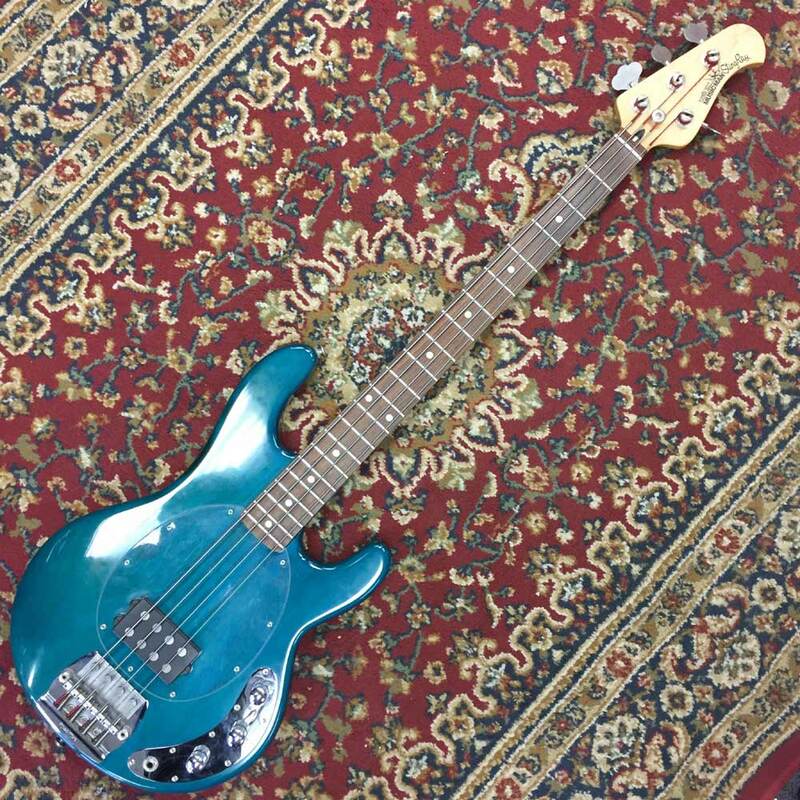 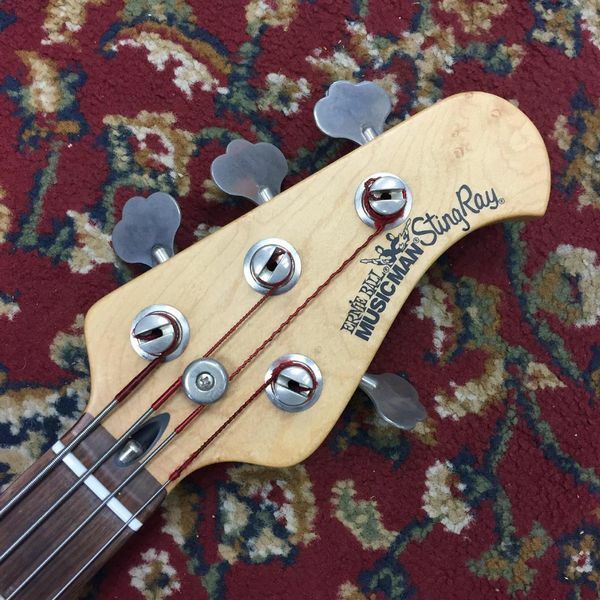 A genuine Music Man Stingray bass, made in San Luis Obispo, California. Features of this bass include a 21 fret maple neck with rosewood fretboard, translucent pickguard, single humbucker with volume and two seperate tone controls, and Music Man tuners, bridge and neck plate. This instrument has certainly seen some use and features pick marks on the scratch plate,some small dings on the headstock, slight scratches on the body and slight tarnishing of the metal hardware. 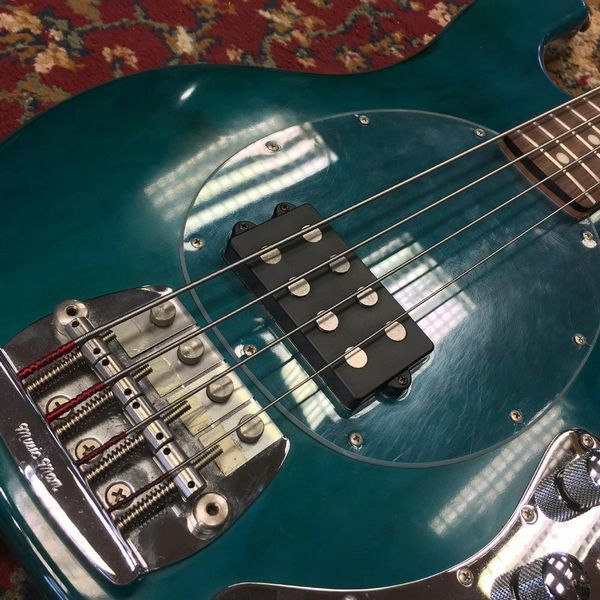 This is all cosmetic and does not affect the playability of the guitar.